Neoliberal ideologies applied in city politics can be portrayed as key aspects for the progressive and often conflictive transformations of urban space today. Such transformations do not exclusively apply to the political sphere – neoliberalism has also affected the habits of how people imagine, perceive and appropriate urban spaces in their daily life. Cities play a strategic role in the variegated geographies of neoliberalism, but relatively little research critically assessed the challenges citizenship faces in neoliberal societies. The interdisciplinary programme CONTESTED_CITIES is tackling this gap – it investigates the discourses and practices of contest and re-appropriation of urban space, thus providing a novel understanding of how opposition against neoliberal urban development is being re-framed in the course of the current financial and economic crisis. It brings together scientists and activists to discuss some of the striking consequences of urban neoliberalism and the resistance originated in different geographical backgrounds. By applying innovative qualitative methodologies such as reflexive photography and other visual accounts, the project aims at providing theoretical advances within citizenship studies and urban geography as well as at producing new empirical insights to the consequences of recent urban policies. 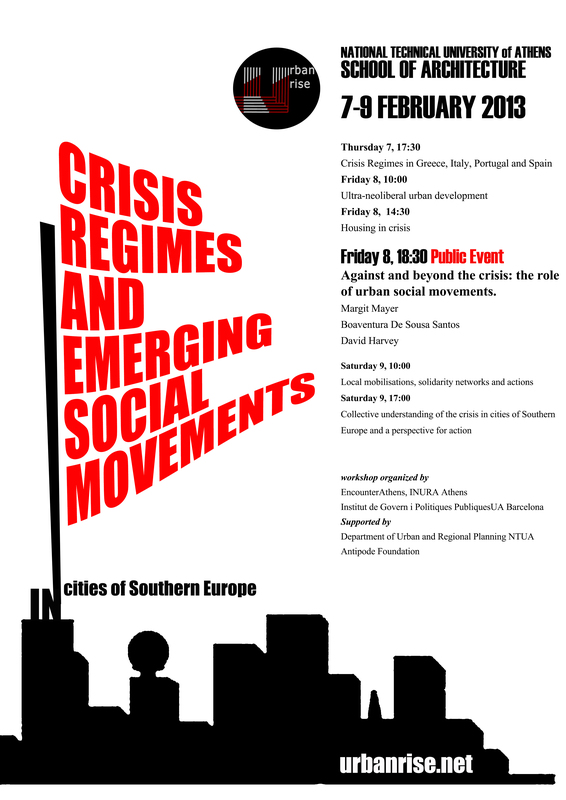 CONTESTED_CITIES is a recent initiative to bring together science and activism, and it is still defining its concrete actions within three key fields: visual representations of neoliberal urbanism, gentrification/displacement/exclusion from urban space, and the subversive action and re-appropriation of space by social movements.